Berlin. Whatever you picture when you think of the city, it’s likely to be different from someone else’s view. From low-key cafes to warehouse raves, a dazzling architectural mishmash and a history lesson paved into its streets, Berlin is a city of many sides. It's a melting pot of creative energy and a culture that oozes cool. Whatever approach you take to seeing the city, it’s likely you’ll encounter one of the many personalities that Berlin embodies. So, the only question is: which one are you? Think of a trip to Berlin and it’s unlikely you’re picturing yourself languishing on a deck chair, cradling a fruity, pink umbrella-sprouting cocktail and kicking off your shoes to feel the sand between your toes. 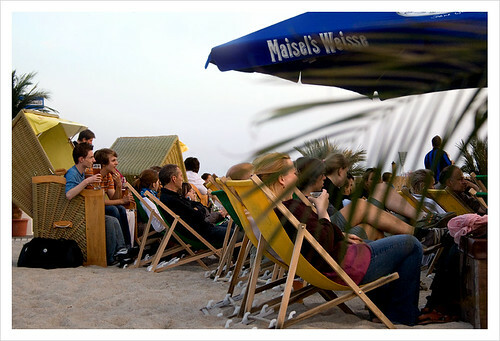 But the day summer comes to Berlin is the day Berliners flock to the banks of the Spree to enjoy palm-fringed beach bars reminiscent of those you’d expect to find in the Caribbean. Berlin’s ‘citybeaches’ are fast becoming the city’s calling card, as tourists and locals fill the sandy stretches – complete with swimming pools, abandoned boats and reggae music – to chill. Bars generally open at 10am, allowing plenty of time to soak up the rays (of course, Caribbean temperatures are not guaranteed) and enjoy a cold beverage or two. Best bets: Deck 5 for views over the city and Ostrand for coffee and vodka, depending on your style. You would be hard pressed to find a city whose skyline boasts more architectural contrasts – Berlin is an architecture-lover’s paradise. From Berlin Cathedral’s imposing Baroque dome (rebuilt after WWII), to boxy Communist-era blocks and the Fernsehturm – the soaring silver TV tower that pierces the sky – Berlin’s history can be retold through the buildings that line its streets. 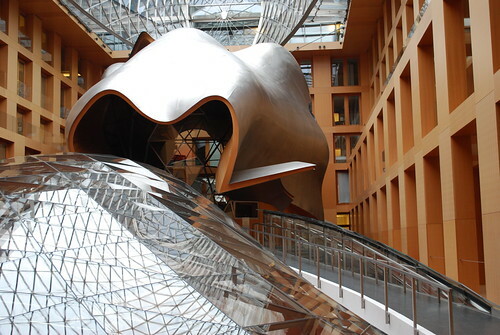 Some of Berlin’s most curious architectural feats can be found indoors. A lift ride to the top of the Reichstag will treat you to kaleidoscopic panoramas from its mirror-clad dome. Slip into the foyer of the DZ Bank on Pariser Platz (that’s as far as you’ll get) and admire the grand atrium and its space-defying formation of glass and steel. 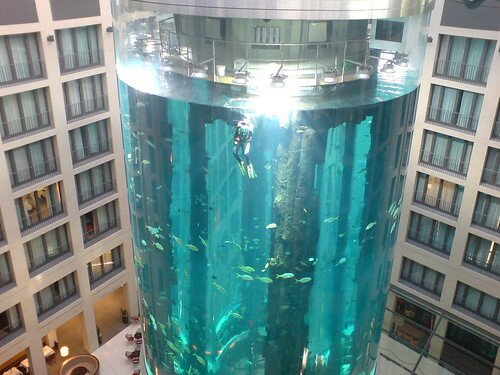 But perhaps the most enjoyable indoor feature is the colossal AquaDom – a 25 metre tall cylindrical fish tank located in the Radisson Blu hotel that is home to more than 1,500 fish. But – be warned – the hypnotic pull of fish tank-watching will have you ogling for hours. If you’re more likely to be found in a gritty dungeon bar than admiring the architectural interior of a bank, Berlin will not disappoint. The city has become renowned worldwide for its party scene, music and the general coolness that seeps from beneath the unmarked doors of industrial-style clubs. But apart from being an enticingly hedonistic clubland, Berlin is also a canvas of urban art. Before its fall, the Berlin Wall's West side was famously covered with murals, while the East was starkly blank – now images of freedom, hope and acerbic political statements colour every inch of what remains. 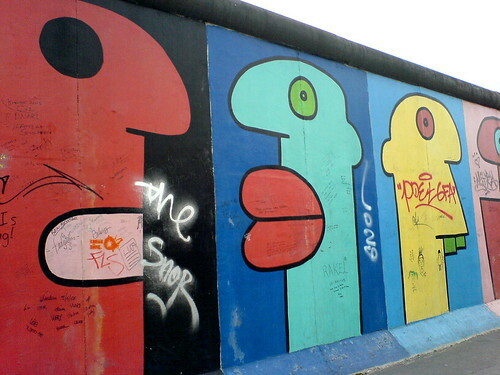 The East Side Gallery, a 1.3km stretch of remaining wall, forms the world’s largest open air gallery, featuring murals from artists around the word. It seems every fire hydrant, brick wall and rubbish skip – any icon of urban life – is a canvas. After the unification, the Tacheles building on Oranienburger Straße was taken over by artisans and converted into an atelier of street art, performance and sculpture. 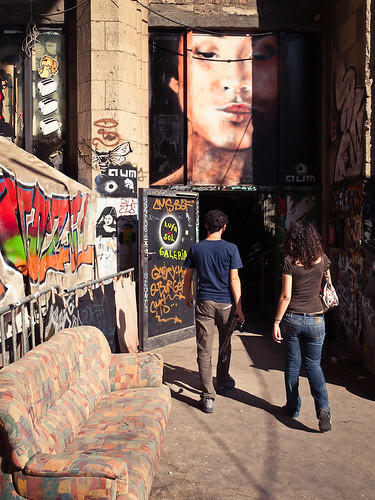 Its graffiti-clad days are numbered (it was recently taken over by developers and its inhabitants evicted) its legacy of Berlin's bohemian culture continues to draw visitors. Berlin’s answer to Banksy (a local artist known as Mr. 6) has tagged thousands of surfaces with the number 6 – a symbol that has had many residents and tourists guessing at its meaning. Apparently it’s just the easiest shape for him to make while whooshing past on his bike. Find out how you can experience Germany’s capital of cool with our collection of Berlin holidays starting from £199. Want more? Check out part 2 of our Berlin guide: the low key low down.